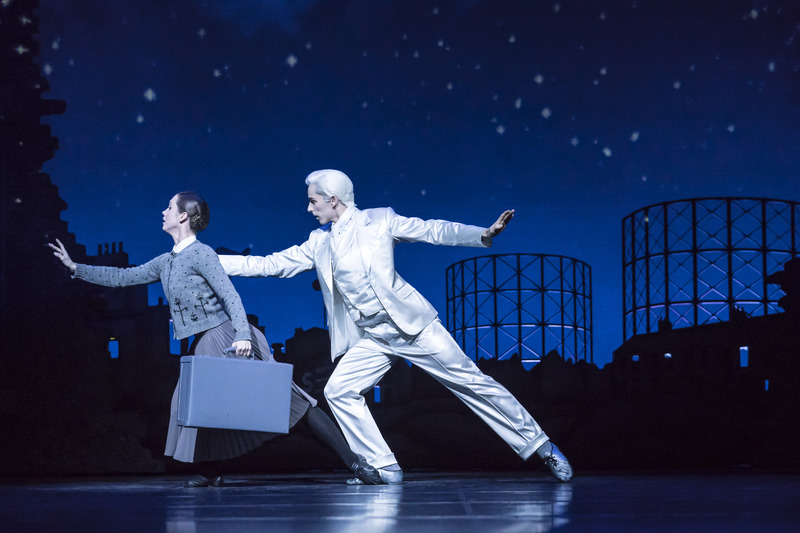 Matthew Bourne’s Cinderella is a cinematic wartime romance that memorably captures the glitz in the Blitz to illuminate the power of true love. The popular choreographer’s dance theatre troupe, New Adventures, is making its annual visit to Milton Keynes Theatre this week with a revival of the 2010 reworking of his original 1997 production. There were standing ovations on opening night, so audiences are still lapping up this fanciful tale of love and conflict. 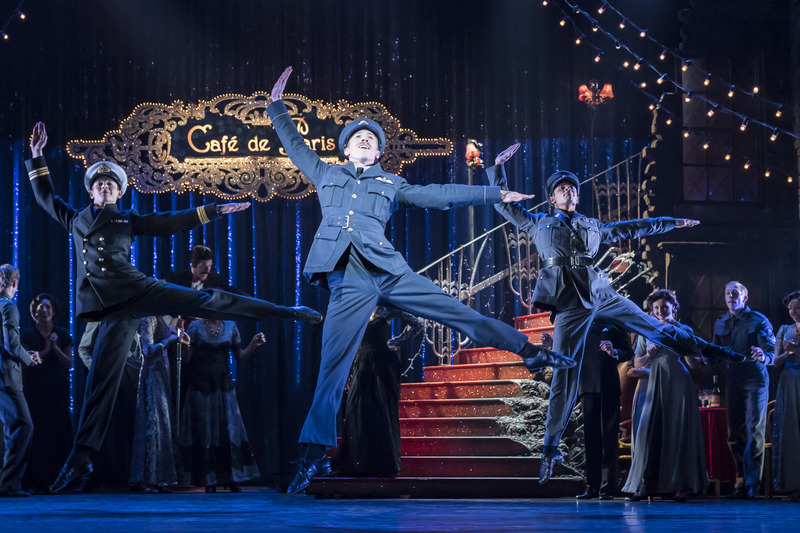 Set in the capital during the darkest days of the Second World War, Matthew Bourne’s Cinderella sees ordinary Londoners navigating both affairs of the heart and the terror of nightly air raids. We are introduced to Cinderella and her family in the shadowy surroundings of their blacked-out home. The father, a wheelchair-bound First World War veteran, is infirm and impassive. The stepmother is a vampish and vindictive alcoholic. A gaggle of peculiar stepsiblings – two stepsisters and three stepbrothers – relentlessly pester Cinderella. It quickly becomes apparent that Cinderella is always lowest in the household hierarchy. This is emphasised when the spiteful stepfamily members express excitement at receiving invitations to a party at the glittering Café de Paris and gleefully rejoice in Cinderella’s exclusion. Still, Bourne’s Cinders is not totally downtrodden – the spectacles and dowdy cardigan she wears are not enough to conceal her gloriously gutsy streak. She slips on a pair of sparkly heels to mock her wicked stepmother’s inebriated tottering and imitates her aggressive attempts at being alluring. Even better, when wounded RAF pilot Harry ends up on the family’s doorstep, Cinderella has enough about her to charm him before her wicked stepmother throws him out. The otherworldly magic which transforms Cinderella’s life in just one night comes not from a fairy godmother but from The Angel – a mysterious male figure in a pearlescent white suit. He seems to hover over London like an angel of death, so it is sometimes difficult to ascertain whether he is friend or foe. Nonetheless, he is instrumental in uniting Cinderella with her “prince”. The Angel whisks Cinderella off in search of Harry, but she is injured in an air raid at the end of Act One. Act Two opens with Cinderella suspended in some strange space between living and dying as her delusional dream transports her to the party at the Café de Paris. Here, The Angel instigates the recovery of the ballroom following a bomb blast. As if he has pressed the rewind button, dancers rise from the floor ready to boogie the night away. Once the party is in full swing, Cinderella appears wearing a sequinned gown and looking radiant. She dances with a more-handsome-than-ever Harry, but they are separated when the bomb hits. Act Three shows a traumatised Harry racing around London, becoming increasingly obsessed with all that he has left of his fleeting encounter with Cinderella – one of her sparkly slippers. Meanwhile, Cinderella convalesces in hospital, reminiscing about her beloved Harry and wearing just one shoe – the other sparkly slipper. Admittedly, the slightly convoluted narrative can be perplexing at times but the happy ever after is immensely satisfying when the lovers are reunited. Hoping to embroil us in the war-torn world onstage, Bourne jettisons live music. He opts instead to use an artificially enhanced recording of Sergei Prokofiev’s potent ballet score, which was, aptly, written during the Second World War. This recording – played by an 82-piece orchestra and overlaid with a cacophony of bomb blasts – is presented in reverberating surround sound. The disturbing urgency of the accompaniment noisily fills the auditorium, providing a throbbing heartbeat for the visual performance. 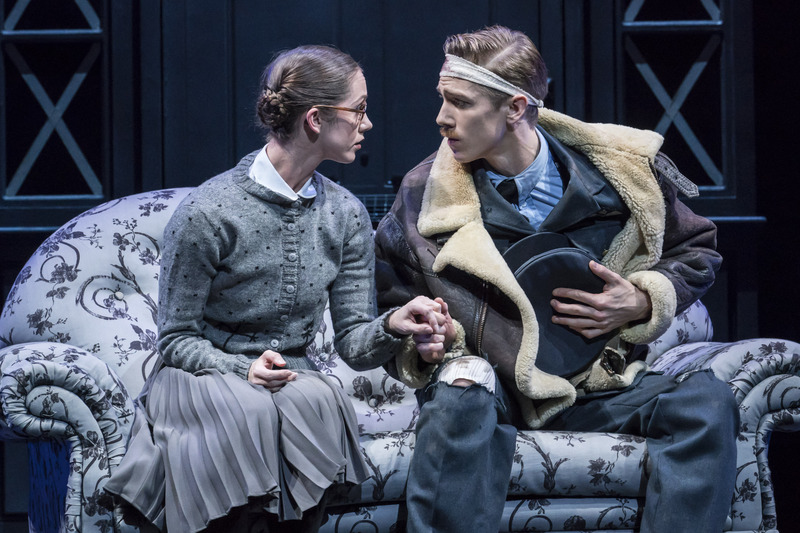 Designer Lez Brotherston employs a drab wartime palette of smoky grey for the sets and costumes in Act One, before evoking glossy glamour during the party of Act Two. London locations are wonderfully realised in Act Three, which also sees a clinical hospital ward created with the rotation and rearranging of eight white screens. Throughout the production, the atmosphere of despair is fortified by intermittent projections of 1940s news footage. Bourne’s choreography is resolutely character-driven and contains intelligent references to numerous films and ballets. At times there seems to be too much music to fill and the dance content becomes somewhat repetitive. Nevertheless, there is much to enjoy in Bourne’s expressive and energetic movement. Big ensemble numbers incorporate everything from the jitterbug, jive and lindy hop to tango, contemporary and neo-classical ballet. The cast gamely throw themselves into every twist and turn of the complex plot, embracing the furtive feeling of wartime London where every moment might be their last. Cinderella whirls around in a delightful fantasy duet with a tailor’s mannequin that changes into a stiff-limbed airman. Later, Cinderella and Harry partner each other in stunning style in the dance hall, before sharing a tender bedroom pas de deux. This very human story is brilliantly performed by the principal dancers. Cordelia Braithwaite is an endearing Cinderella; Will Bozier is a loving Harry. Their scenes together are full of snatched moments of happiness and hope so that we are desperately rooting for them to get together. Paris Fitzpatrick is a commanding celestial corrector in the role of The Angel. His expansive use of space, fine control and sinuous fluidity create a nonchalant, detached quality befitting a heavenly being. Bourne’s attention to detail is evident throughout: artful wit abounds, alongside suggestions of several sub-plots beyond the central love story. Using realism to produce escapism, his Cinderella cleverly reminds us that there is always light to be found on the other side of darkness. 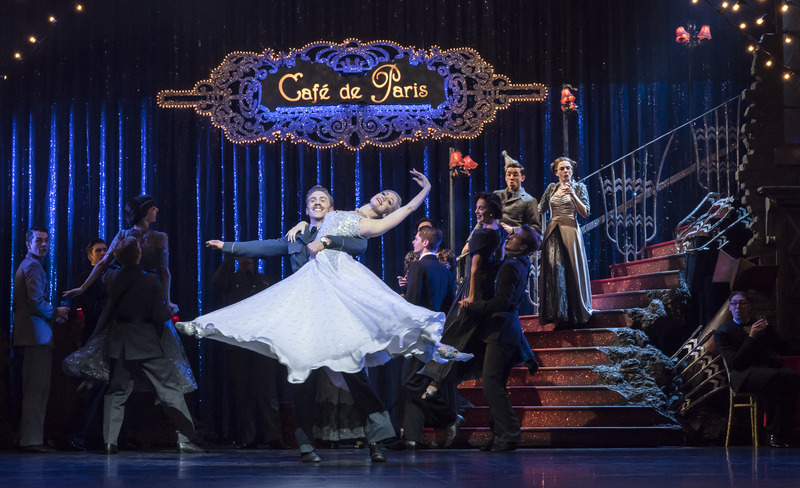 > Matthew Bourne’s Cinderella continues at Milton Keynes Theatre until Saturday 17th February 2018. This review is also featured on Total MK.